Has a non-sponsored individual spent the 260.00 or more to run these yet and give a objective report??.. 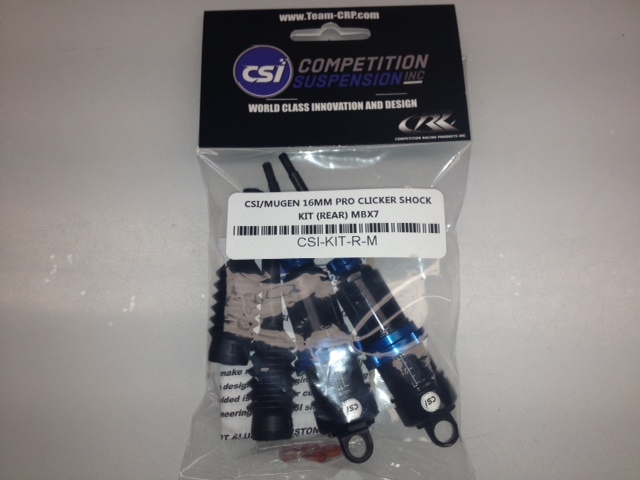 Its still madd quiet in here even though amain and others have these..
only the parts are in stock in amain not the shocks themselves which I believe are in the process of being assembled. Hope it won't be like CR8 ! 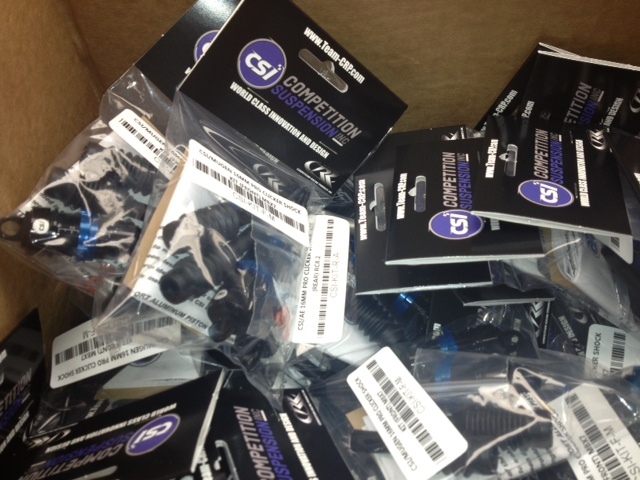 CSI Pro Clicker Series Shocks shipping to Dealers today. Could you list the Shock lengths (eyelet center to eyelet center) at full expansion and compression for those retrofitting non AE or Mugen cars. Last edited by nv529; 05-17-2013 at 07:20 AM. Which dealers are getting them first? Need to order some. I doubt I will be able to test them out till sometime next week though. so I trolled through all 14 pages of this thread and missed any pics of un-assembled but complete shocks that CRP wants us to spend all this money on. Where are the pics? I obviously missed them. All times are GMT -7. It is currently 06:14 PM.